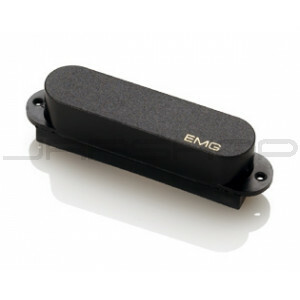 The EMG-SA pickup combines the attributes of the early Strat* sound but with an added midrange response and higher output, giving it "bell-like" ringing harmonics and increased sustain. One single Alnico bar magnet delivers classic overdrive with a smooth midrange distortion, while still retaining the familiar high-end of a single-coil pickup. These characteristics provide greater versatility than what is normally found in single-coil pickups. Favorites of Steve Lukather and David Gilmour just to name two, the EMG-SA is our most popular pickup for Stratocaster* type guitars.